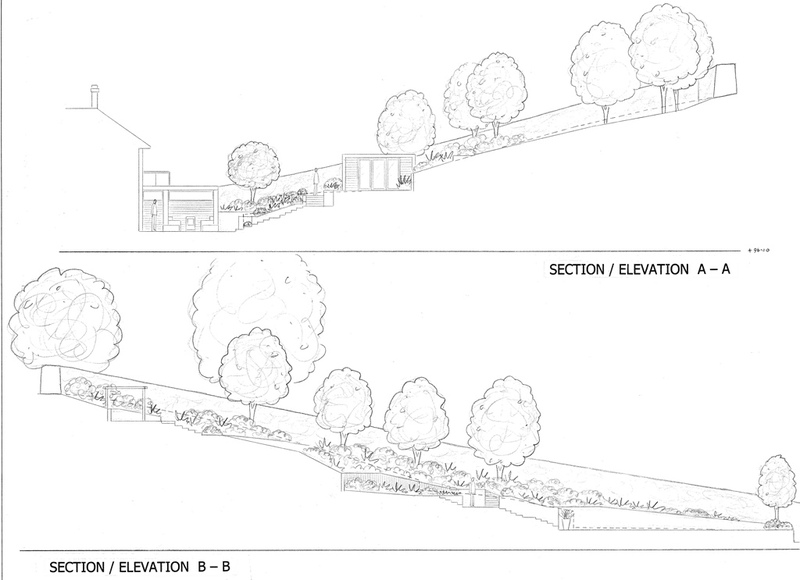 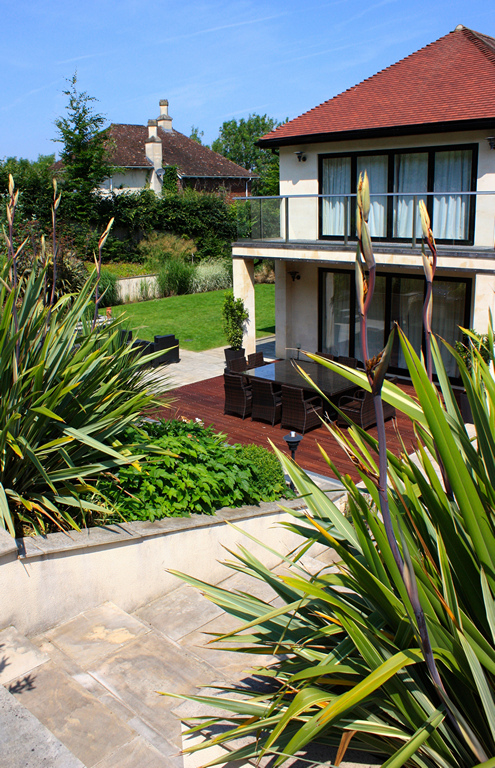 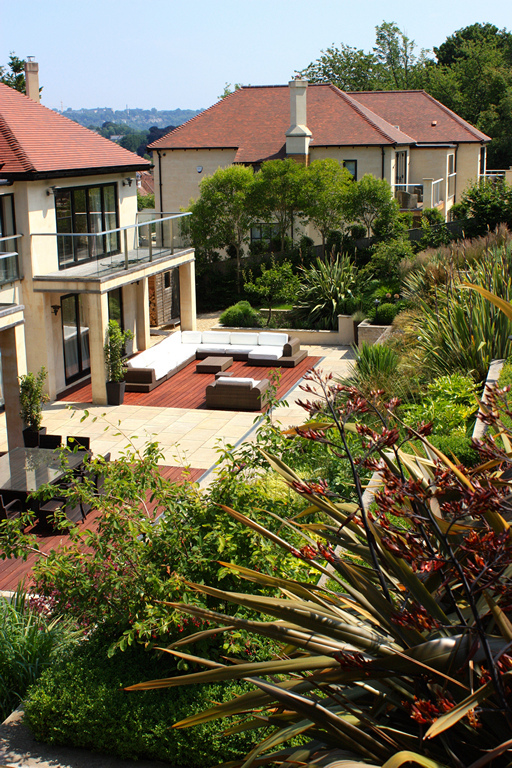 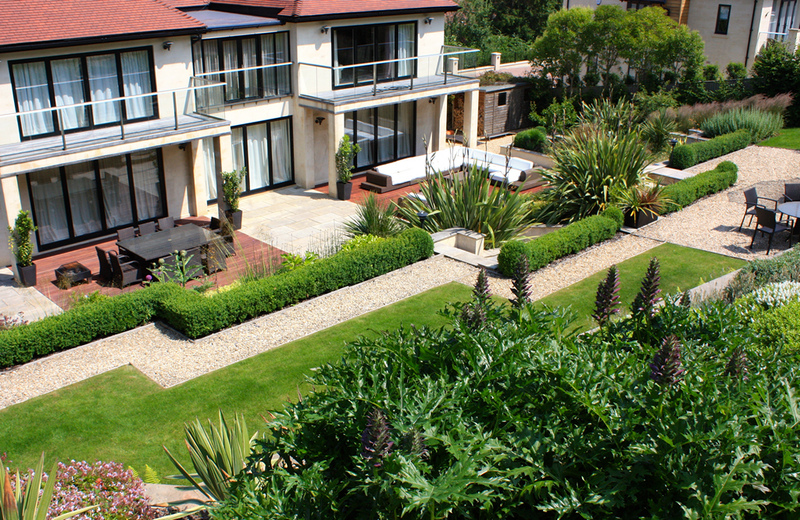 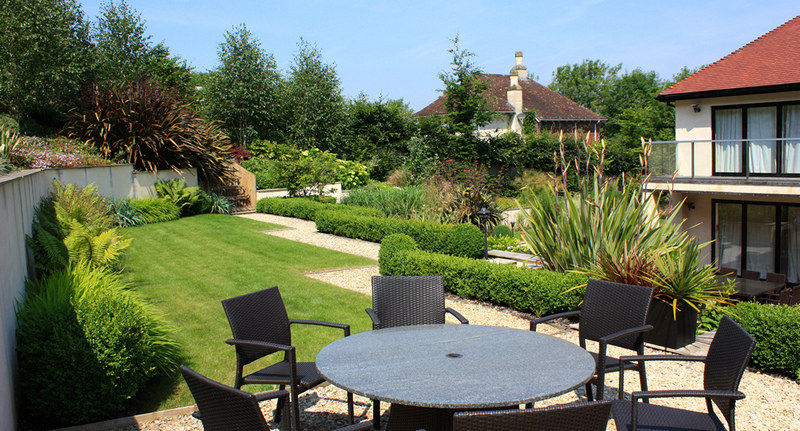 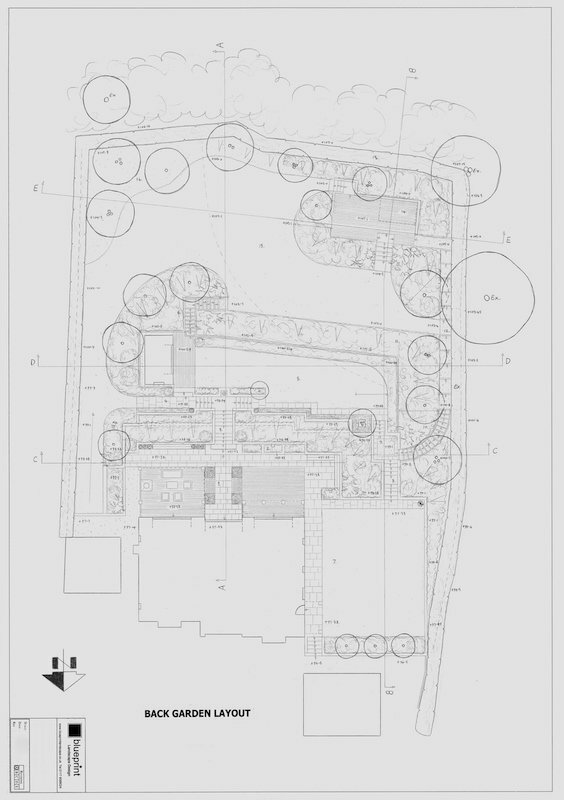 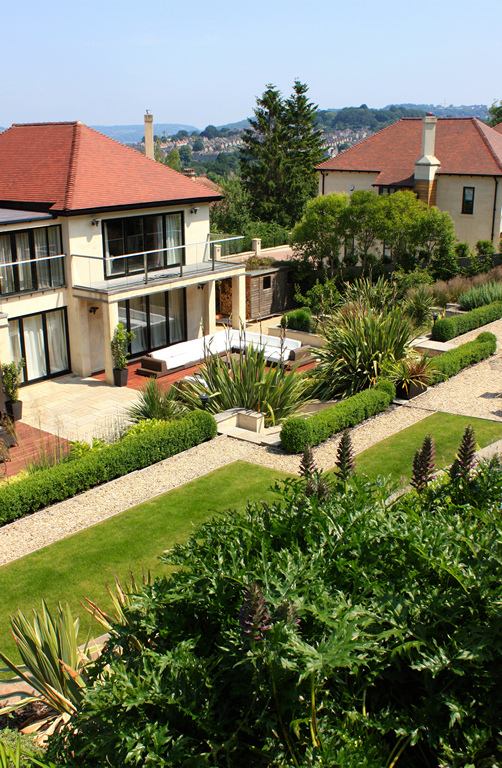 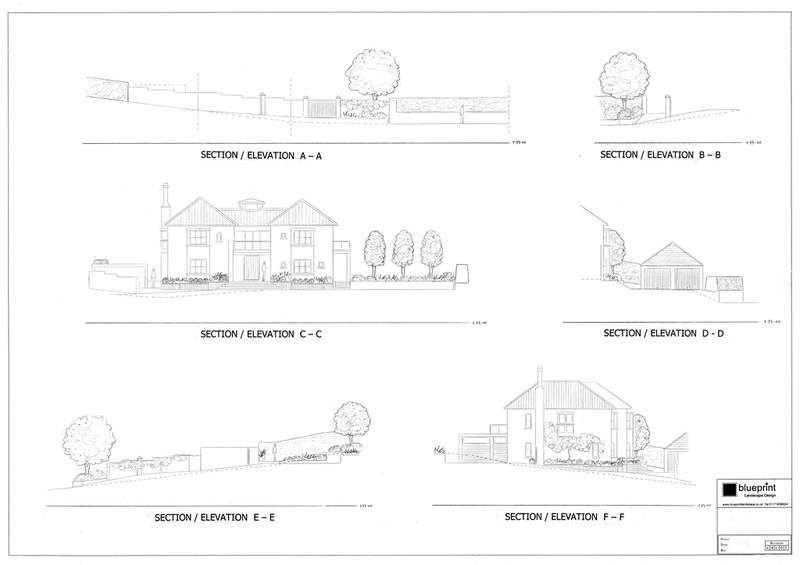 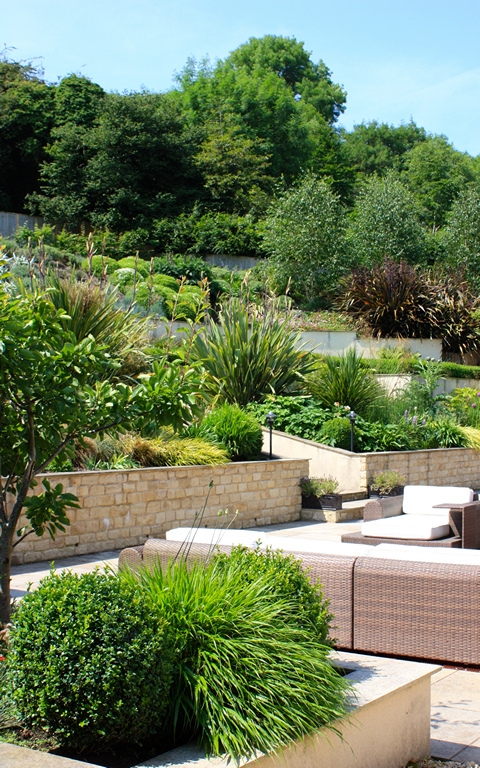 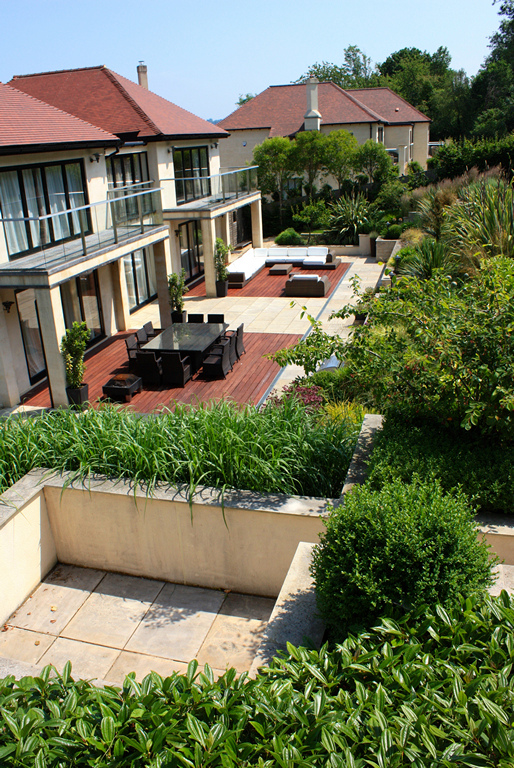 Front and back garden areas (0.75 acre) for a new build property built into a steep Bath hillside. 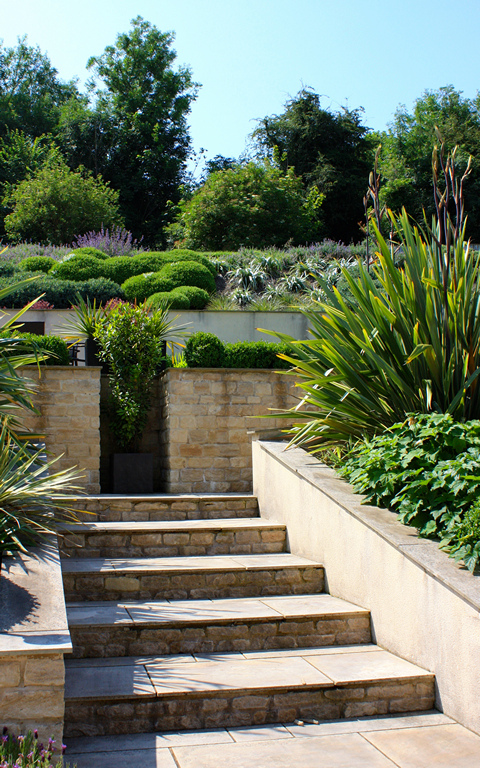 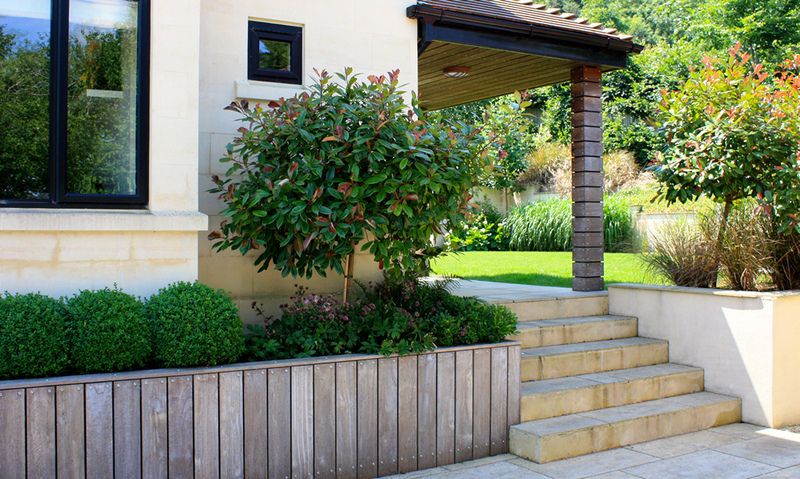 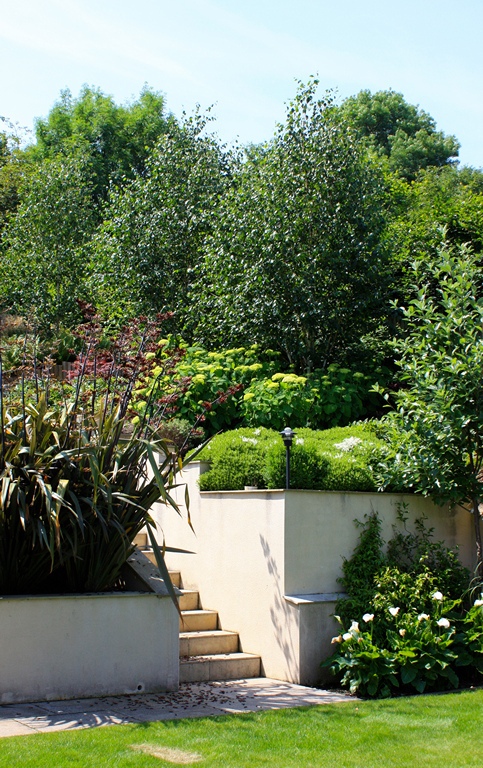 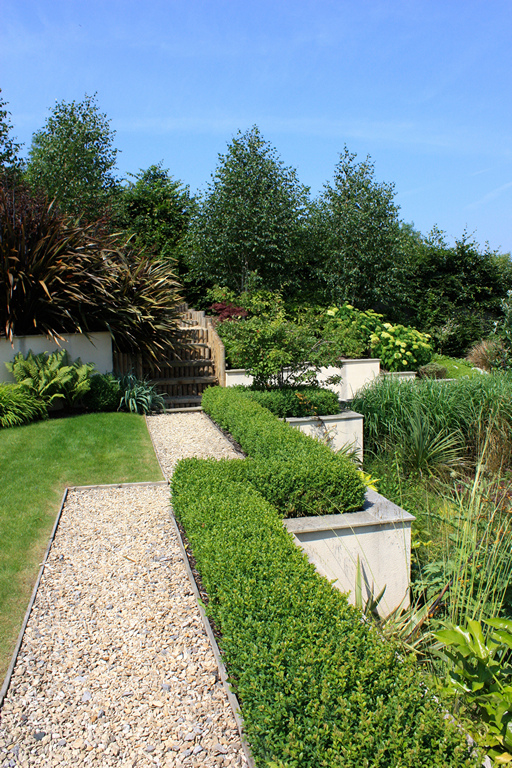 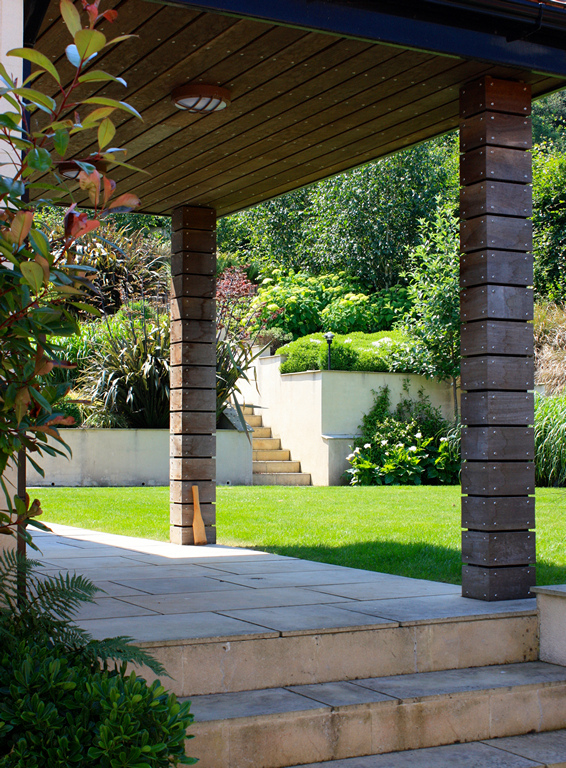 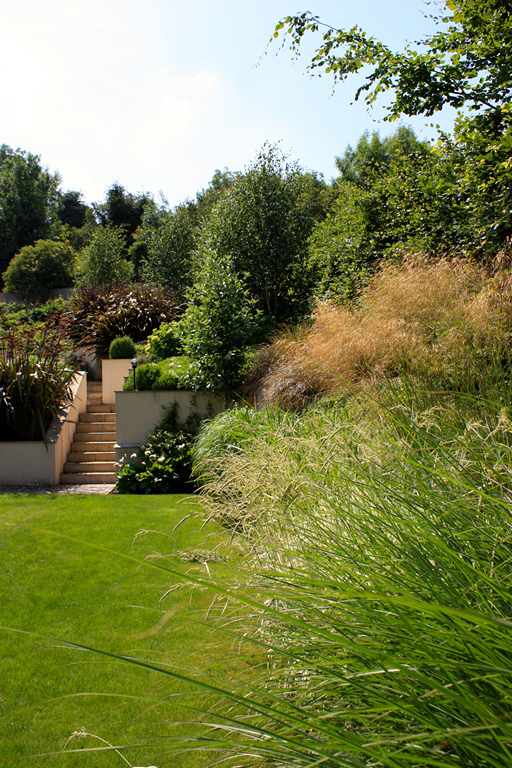 The garden is designed as a series interconnected level spaces, retained with stone/rendered walls and linked by steps and grass ramps. 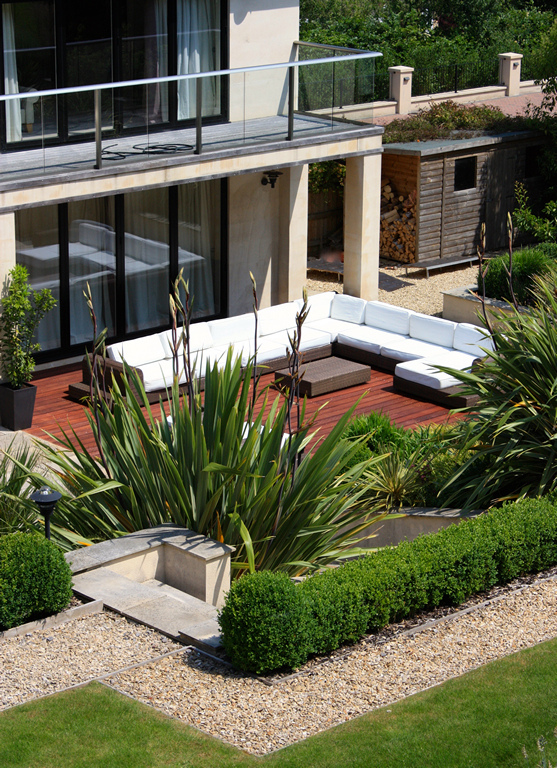 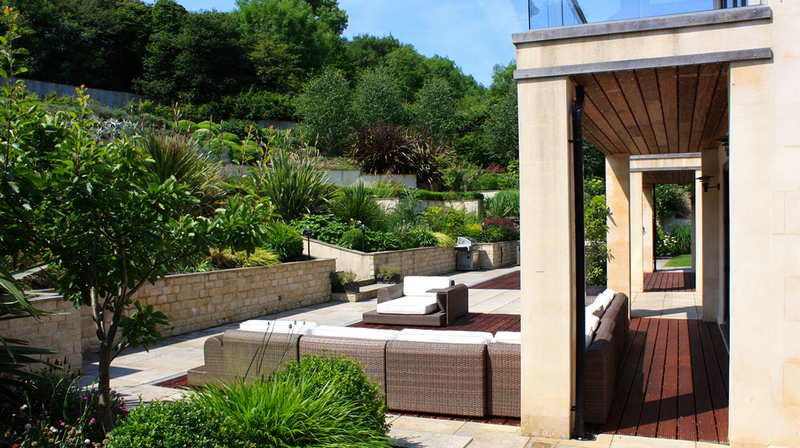 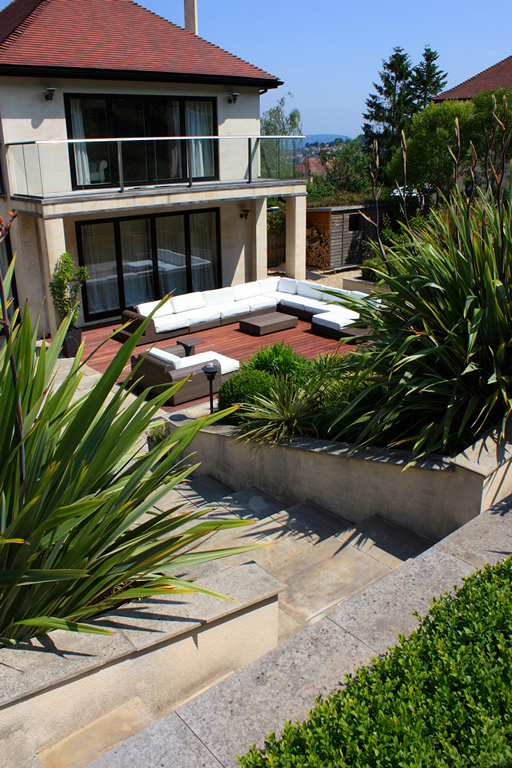 A large rear terrace surfaced with sawn stone paving and hardwood deck provides an extensive outdoor living space. 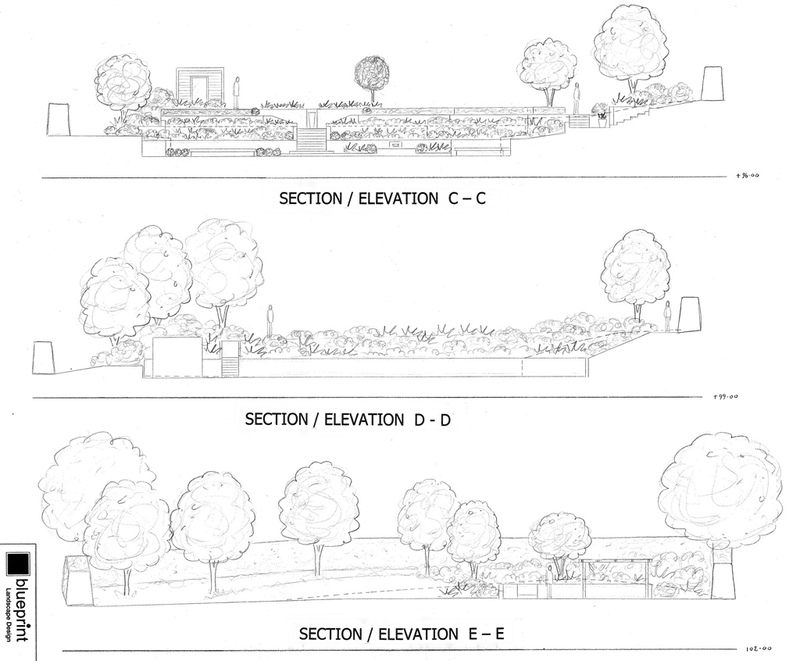 Trees, shrubs, grasses and perennials were chosen primarily for architectural form/structure and banked areas are planted with lower maintenance ground cover. 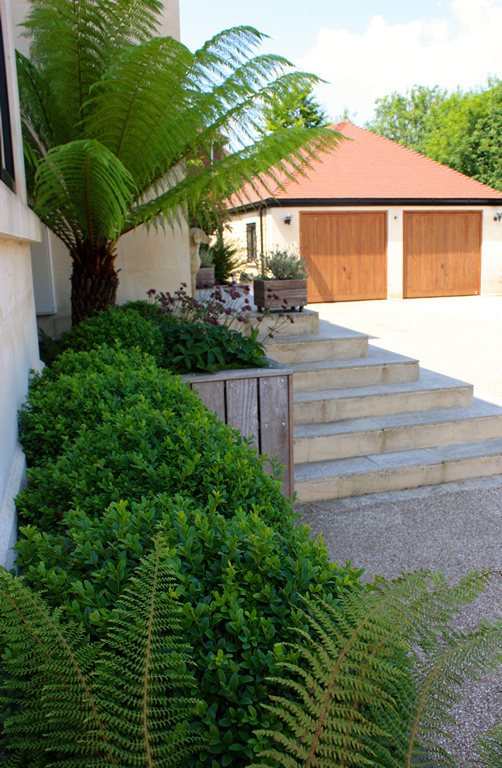 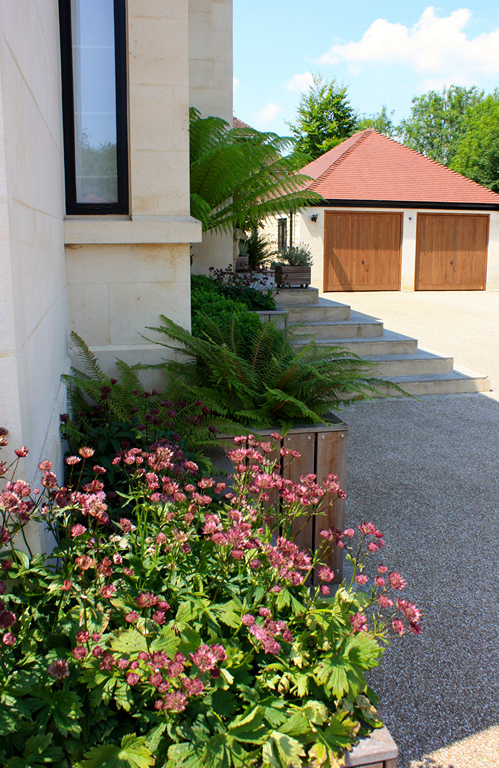 A resin bonded drive provides parking at the front and the whole garden is enclosed by a new Hornbeam hedge.